Locals know the vast variety of lactions to wet a line in the Jemez River. 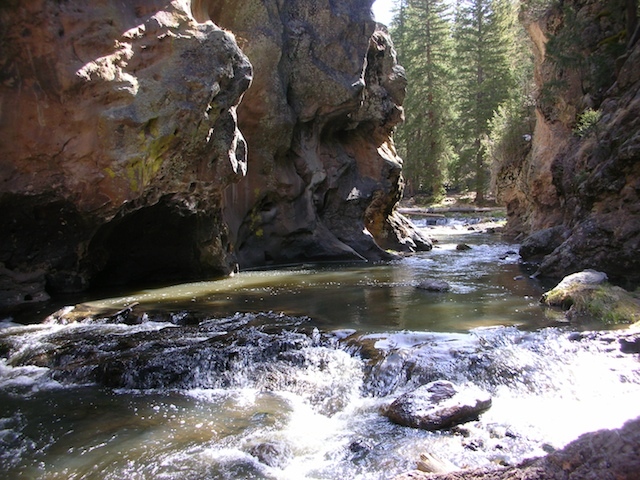 The Jemez continually offers spectacular fishing in picturesque mountains. Spend the day fishing below the large cottonwoods taking in the wildlife that is frequently seen along the river. Don't worry, if you aren't a fly fisher the Jemez is also a great river for bait and lure fishing (check restrictions). Rainbow and Brown Trout can be caught here year round. A short drive from Albuquerque, the Jemez offers multilple access points for great fishing. Contact us for further details. Fishing throughout the Jemez is fair as flows begin rising. Your best bet for trout are prince nymphs, salmon eggs and powerbait.